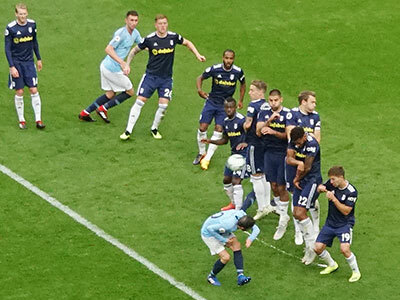 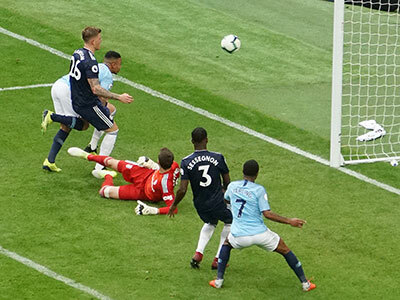 Another good performance by City against a Fulham side that did not block their goal and tried to play some football. 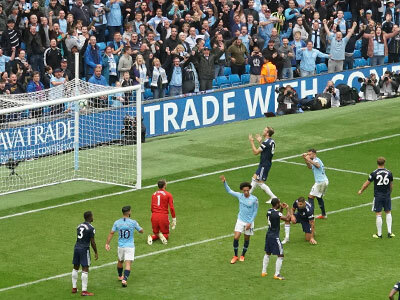 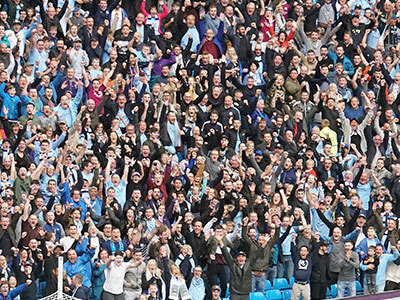 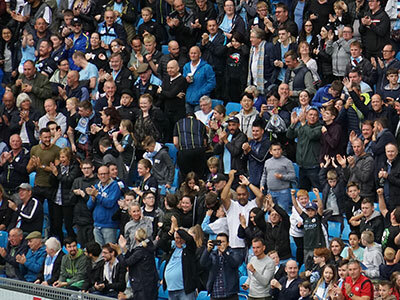 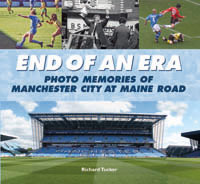 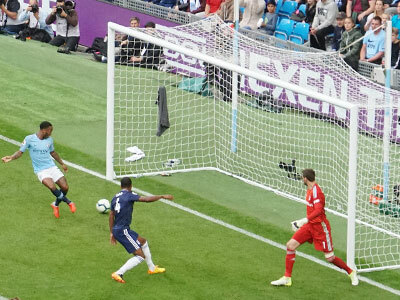 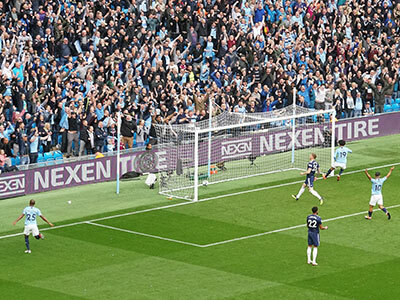 It could have been four or five if the City finishing had been a bit better. 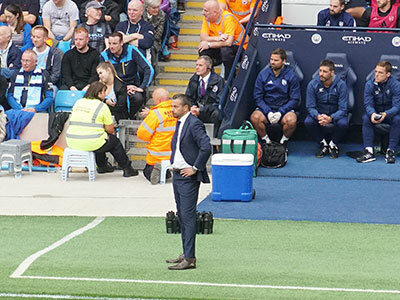 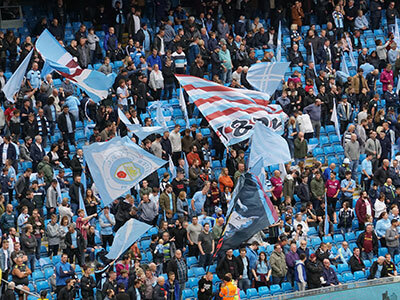 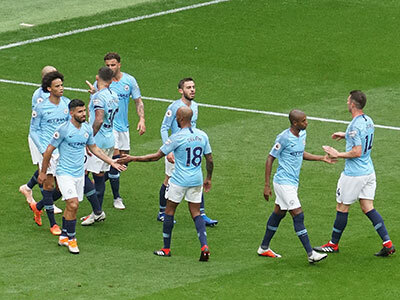 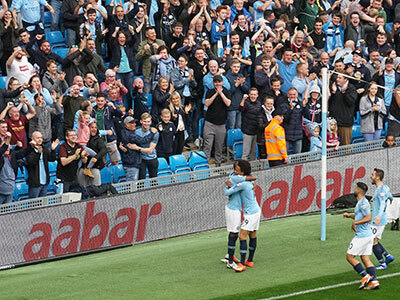 However with an important game against Lyon coming up several players were rested but City were able to boss the game and play some excellent football. 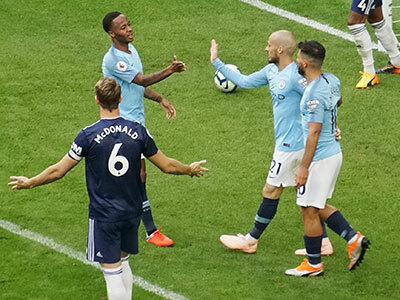 David Silva celebrated his two hundred and fifty second league appearance for City with his 50th Premier League goal. 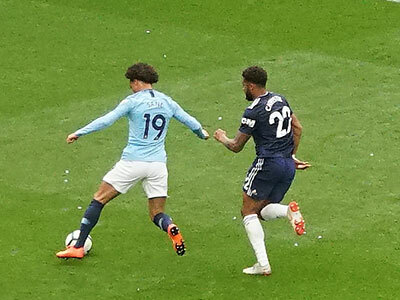 Sane made his first league start of the season and scored as well as causing problems for the visitors. 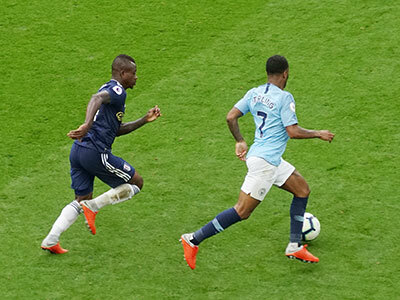 Fernandinho was brilliant as usual and made the first goal after just 1 minute 36 seconds - the quickest yet in the Premier League. 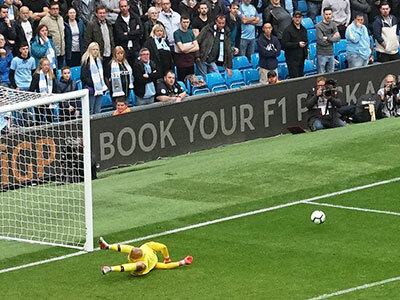 The defence without Stones and Kompany kept a clean sheet but Edison actually had to make a few saves! 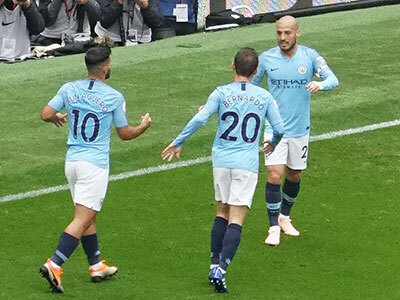 Benardo Silva had a good game and Aguero set up Sterling for the third goal. 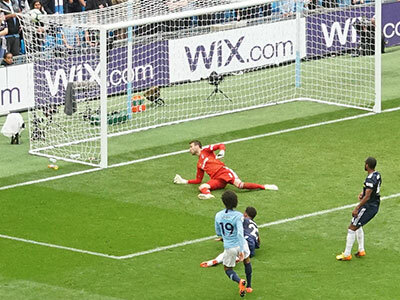 With a Champions League game coming up on Wednesday City rested several players. 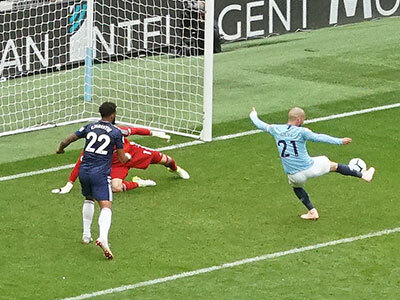 Both Sterling and Sane started with just Aguero up front. 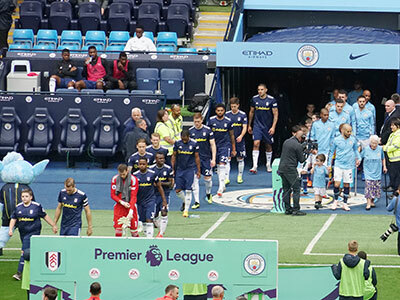 Otamendi had his first start and Delph played at left back. 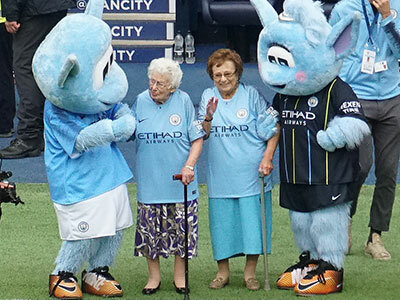 102 and 98 years old ! 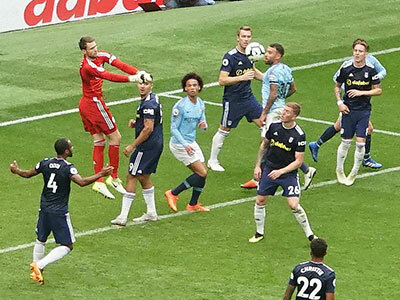 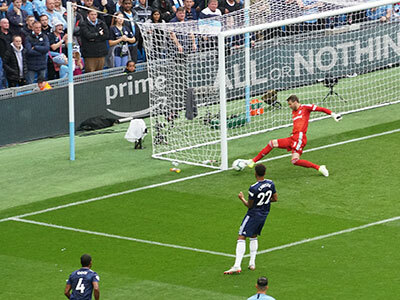 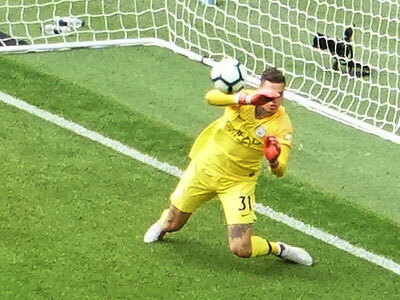 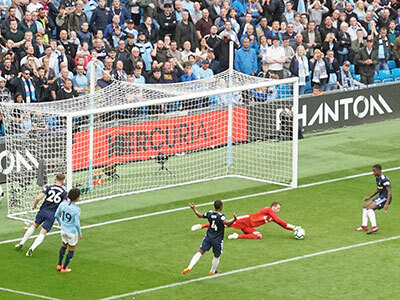 After an early Fulham attack broke down Fernandinho anticipated and intercepted a pass to Odoi and crossed to a waving Sane who beat keeper Bettinelli to give City a terrific early lead in less than two minutes. 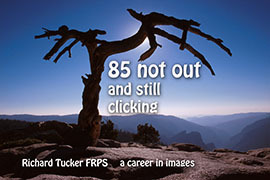 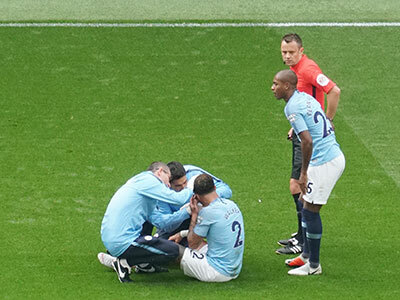 There was a short delay when Walker was injured. 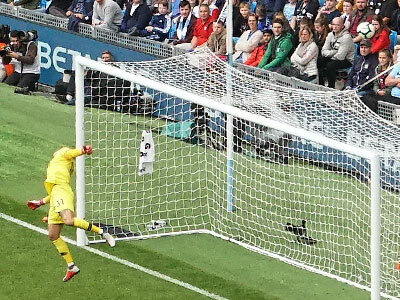 perhaps he needed another hole in his socks! 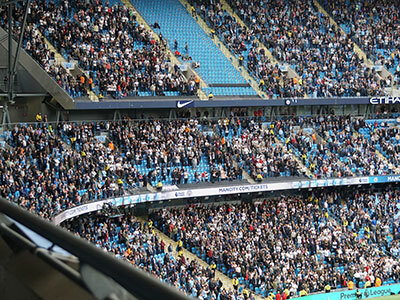 The South Stand quite liked that! 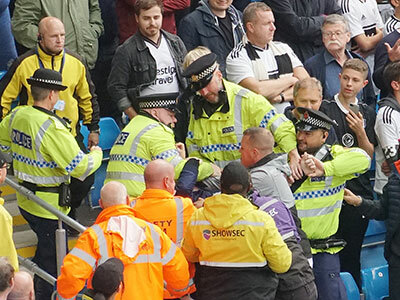 Ah a problem with one of the Fulham fans! 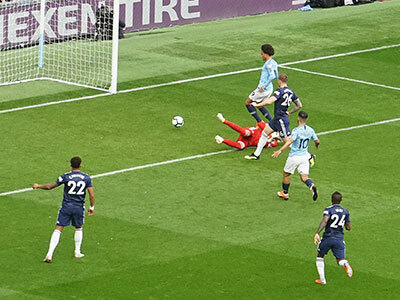 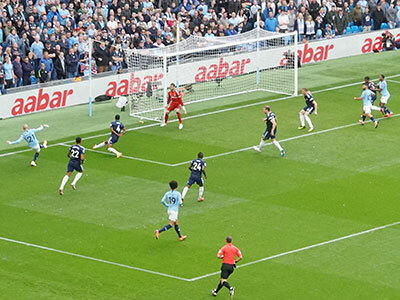 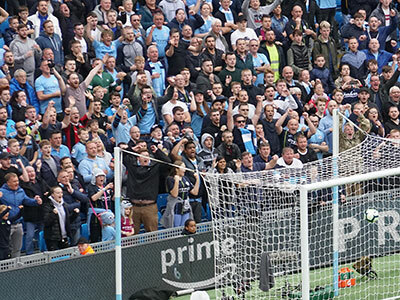 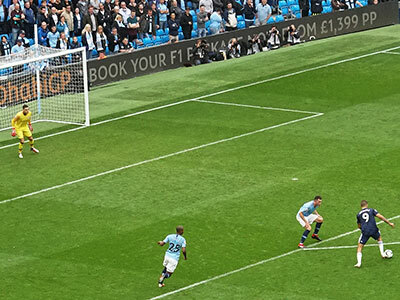 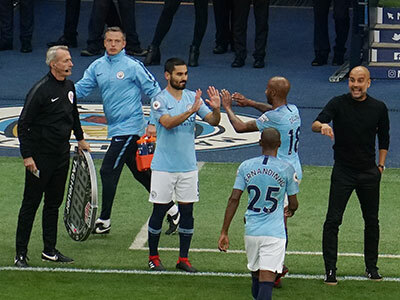 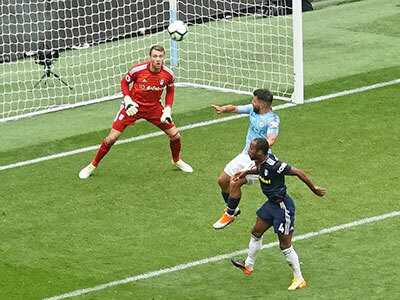 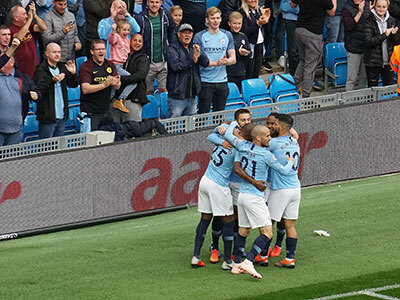 After just two minutes in the second half Sterling attacks -gives the ball to Aguero who goes down the right wing and crosses to a waiting Sterling to make it three nil to City - game over! 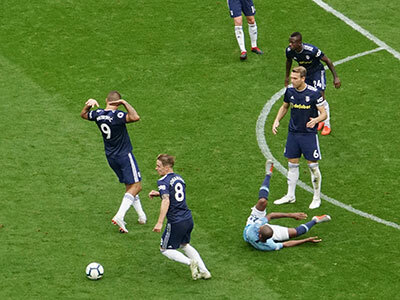 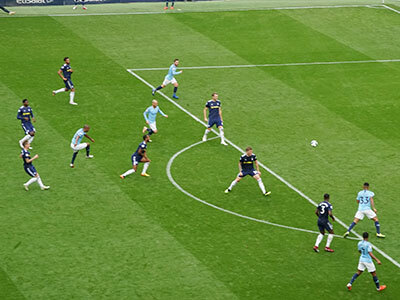 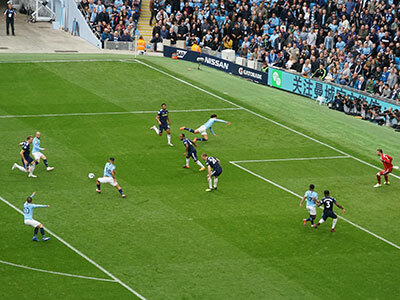 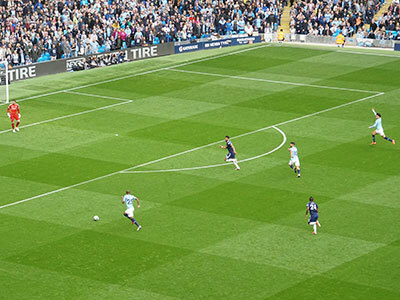 City continue to attack and Fernandinho is brought down just outside the penalty area. 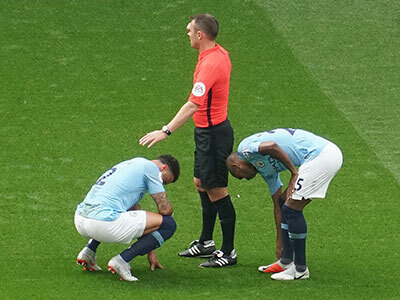 Ederson 7.5: Walker 7, Laporte 7, Otamendi 7.5, Delph 7.5 (Gundogan) : Fernandinho 8.